Only a quick post, but after my last bashing of HP virtual connect. I’ve had to endevour another upgrade for a different customer. This time with two HP chassis that are connected together. 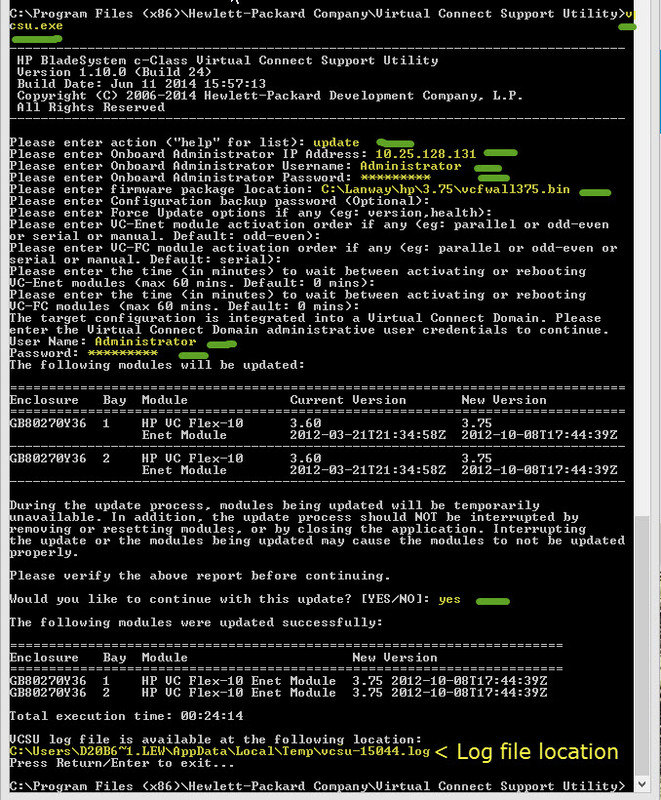 For this customer they are on version 3.30 and need to upgrade to the latest version 4.41. For me the each firmware took around 35 to 45 minutes to complete. 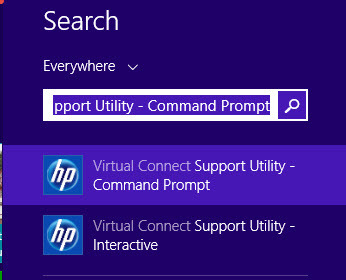 And you need “Virtual Connect Support Utility 1.11.0” to upgrade to 4.31 and above. Note: that if you use the vcsu.exe tool and have mutliple flex-10 modules connected together in a domain, the firmware will update all the modules at once, you cannot upgrade just 2 modules of 4, for example. Note: Please plan downtime for this, as in my case it took everything offline whilst updating both modules. So to update the Virtual Connect Manager, leave the web interface, as you don’t do it there, you need to download the “Virtual Connect Support Utility”, you can find the latest version here. As you can see this launches a command prompt in the install area of the utility. 3. Enter the IP address of the Onboard Administrator, username and password. 4. Drag your firmware file from its location into the CMD prompt window and this will automatically out the file location in for you. 6. Enter yes after confirming the version you are on and version you are going to. 7. Once done it will tell you its completed and where the log files are loaded. Here is a full screenshot of the process, with the steps highlighted in yellow with green marks for easy identification.